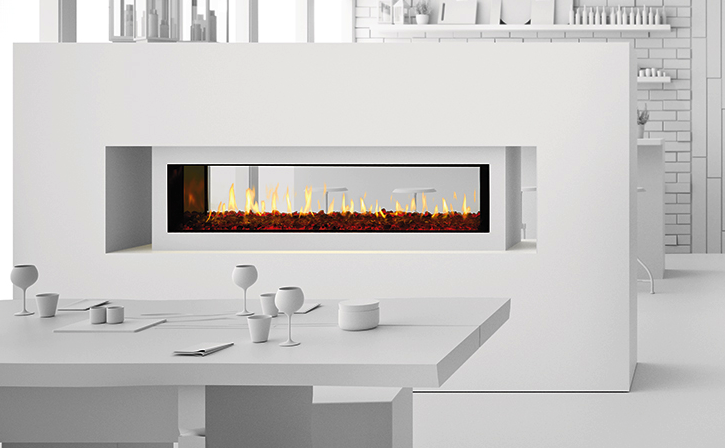 The 6015™ HO Linear Gas Fireplace presents you with superior heat performance, high quality construction and a stunning presentation of fire. The 6015™ is the largest unit in this three-part Linear Gas Fireplace Series, and is the perfect accompaniment to grand living spaces and custom homes. 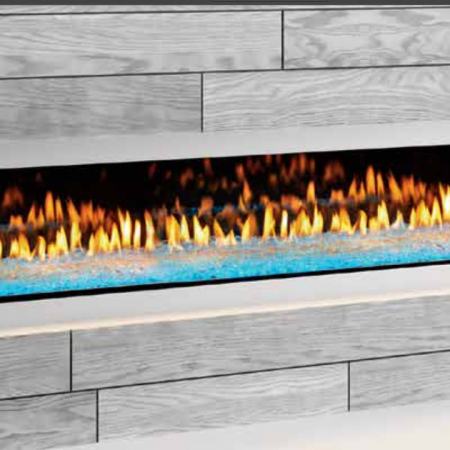 Like it’s smaller counterparts, the 4415™ and 3615™, the 6015™ features a sleek 15 inch height and a long row of tall, dynamic flames over a bed of reflective crushed glass that is illuminated by bottom-lit Accent Lights. 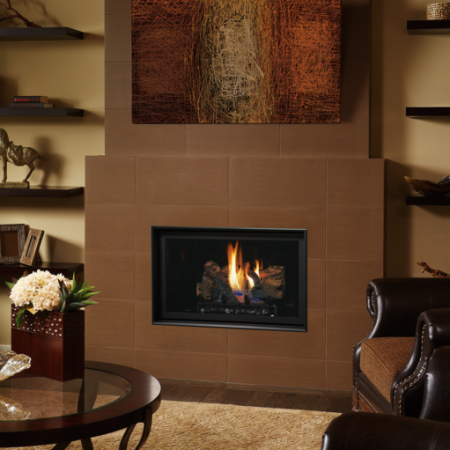 The 6015™ comes with the luxury of adding three different crushed glass options, the Driftwood and Stone Fyre-Art Kit, and multiple fireback selections to completely transition the look of this fireplace. 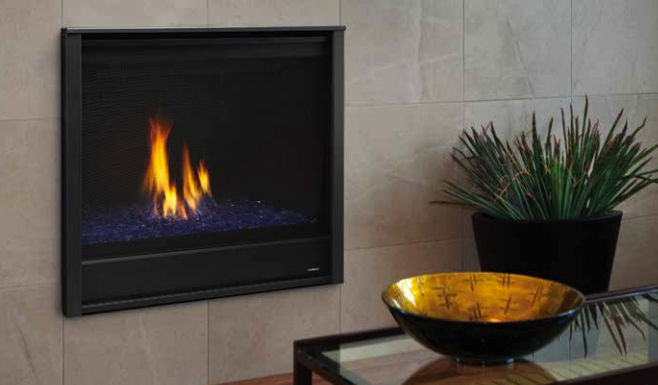 The 6015™ not only serves as a beautiful focal point in any home; it boasts an impressively high heat output of 56,000 BTUs and has the ability to heat up to 2,800 square feet, utilizing two concealed 90 CFM fans. It features high quality, ceramic glass that comes standard with the 2015 ANSI approved low visibility safety barrier, increasing the overall safety of this unit for you and your family. The GreenSmart® 2 Wall Mounted Thermostat Remote is also featured with the 6015™, which allows you to easily adjust every component of this fireplace. It even includes optional Power Heat Vent Kits, allowing you to heat additional rooms in your home. 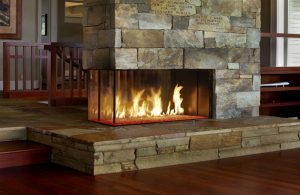 The 6015™ is built with superior Fireplace Xtrordinair craftsmanship using the highest quality materials and heavy-duty construction. 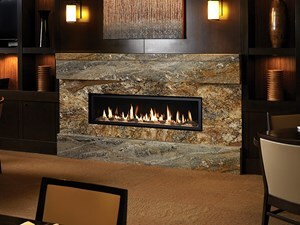 Experience the difference in quality and performance with the 6015™ HO Linear Gas Fireplace by Fireplace Xtrordinair.